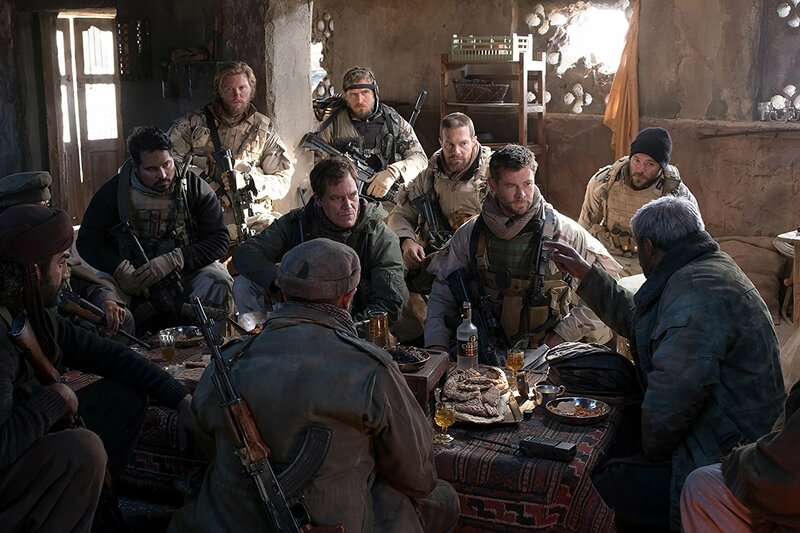 12 Strong is based on the true story of the American Special Forces team that volunteered to be deployed to Afghanistan after 9/11. Their mission was to work with the Northern Alliance to take down the Taliban. This group of 12 men was led by their Captain, Mitch Nelson (Chris Hemsworth), to help them complete their 6-week mission in under three weeks. The film details how the special forces team carried out one of the most important missions at the beginning of the War in Afghanistan. Chris Hemsworth does well as the inexperienced combat Captain who is handed the impossible task of securing a Taliban stronghold. I also enjoyed Navid Negahban’s performance as General Dostum of the Northern Alliance. The scenes of dialogue between Hemsworth and Negahban provided me with some of the most memorable moments of the film. While 12 Strong delivers with great casting choices, the character development was quite lacking. I wanted to learn more about this group of heroic soldiers and what little character development which is given is only to Hemsworth’s character. Due to the slow pacing of this movie, there are very few actions scenes in this film. However, when the action arrives, it is very enjoyable to watch as the soldiers battle on horses against missiles and tanks. Overall, I enjoyed learning the true story of the men who put their lives on the line for us after 9/11. This is a story that definitely needs to be told and is a great representation of the courage of our American soldiers. However, I am still conflicted as to whether or not I would watch this film again if it weren’t based on a true story. The story is compelling, and the movie overall was entertaining to watch, but to me, it wasn’t as memorable as previous war films such as Hacksaw Ridge. Even though this film does not stack high on my list of war films, I would still recommend that you PAY to see this film in theaters. 12 Strong hits theaters this Friday, January 19th. Purchase your tickets now at Fandango so you don’t get sold out. Have you seen 12 Strong? Share your thoughts on the film in the comment section below. It was a good movie. I wish the character representation was truer to the actual 12 strong men. Hollywood wants all of us represented, but don’t overly fictionalize this film. Nice review Sharronda! I overall enjoyed the movie, and knowing that it’s based off of a true story made it even better. Hate that I missed the movie! Looking forward to watching it soon. Thank you Sharronda. I did not get to see the screening but was intrigued by the trailer. Will add this one to my list of films to see.